‘elmex’ has been serving electrical industry & providing termination solution for the last five decades & Now serve larger segment of this industry, we are adding instruments transformers, both current & voltage Transformers to our range of product. ‘elmex’ LV Transformers have been successfully tested in ERDA, Vadodara for type test as per IEC: 61869-2. ‘elmex’ has set up all the test facilities in- house to conduct all routine tests as well as certain type test. ‘elmex’ Low Voltage Transformers are intended for supply to measuring instruments & protection devices of electrical switchgear and control gears installation. They are suitable for system voltage 415/660V & Frequency 50/60 Hz. 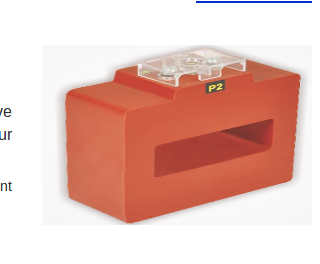 These Current Transformers are designed for secondary current of 1A or 5A and the primary current ranging from 5A to 7500A depending on the application of the system load current. Elmex is a pioneer in the field of electrical wire termination technology in India. the products include electrical terminals, accessories, electromechanical switches and relay modules.